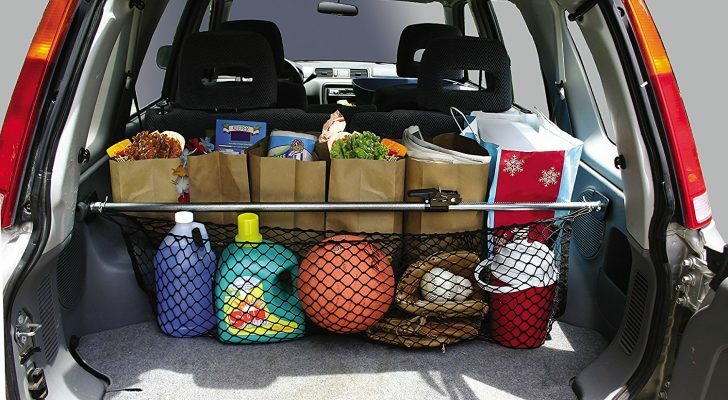 Funny RV Motorcycle: Doesnt the Basket Go on the Front of the Bike? Relic Trailers are a blast from the past, built on designs created in the 1960's, but manufactured brand new today. Relic Trailers are one of the most unique trailers to hit the market in recent history because they are based on designs from the 1960’s, but newly manufactured today! Jayne Barocela, owner of Relic Trailers, was a long time vintage trailer enthusiast before she launched her business venture. As a matter of fact, it was in a vintage trailer-themed Facebook group where she first encountered the prototype that would lead to the creation of the iconic Relic Trailer brand. One night someone posted an almost unbelievable story on Facebook, with a link to a craigslist listing. Between 1960 and 1963 a high school welding teacher named Roy had designed a mid-century dream trailer. He had even begun the manufacturing process before he abandoned the project and it went into storage for more than fifty years. When the warehouse where they had been sitting all of that time was sold, the new building’s owner found these amazing time capsules tucked away on the second floor. Hidden away for over 50 years on the second floor of a storage building, the prototypes had never seen the light of day. All of the machinery, designs, and a few shells sat untouched, and almost forgotten, until Jayne saw them and knew she had to breathe new life into this abandoned dream. 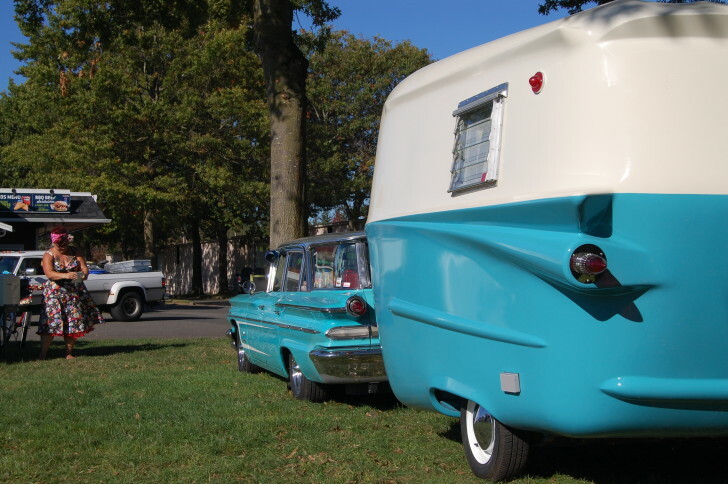 The beauty of these trailers is they are both brand new, but vintage at the same time. They are made today, but with the tools and style from yesterday. 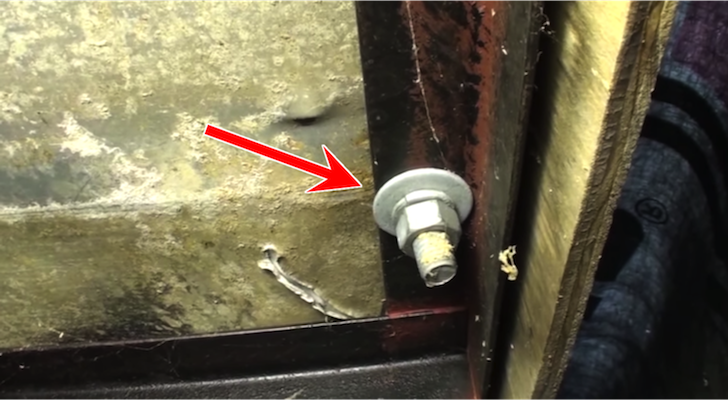 You get a brand new ‘old’ trailer made by hand, it’s an heirloom. 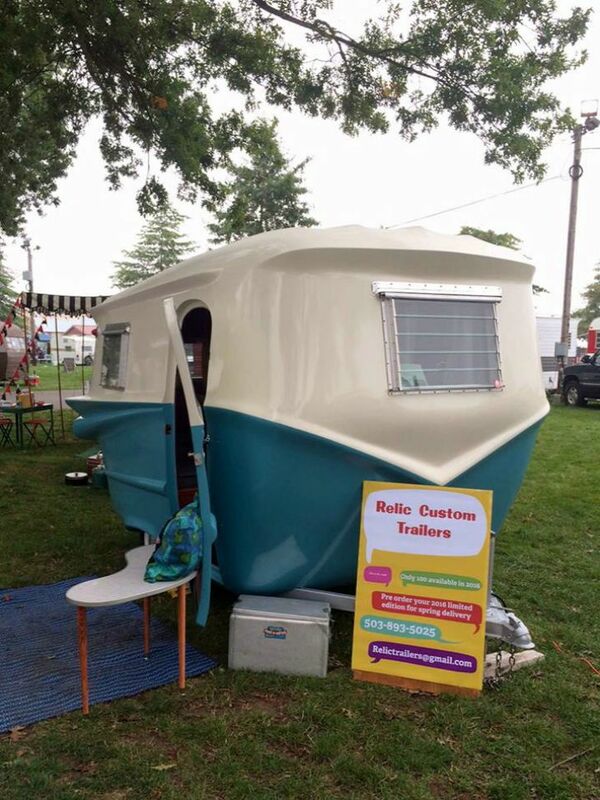 The vintage designed, but newly built, Relic Trailer was a hit at the vintage trailer rally where it made its debut. 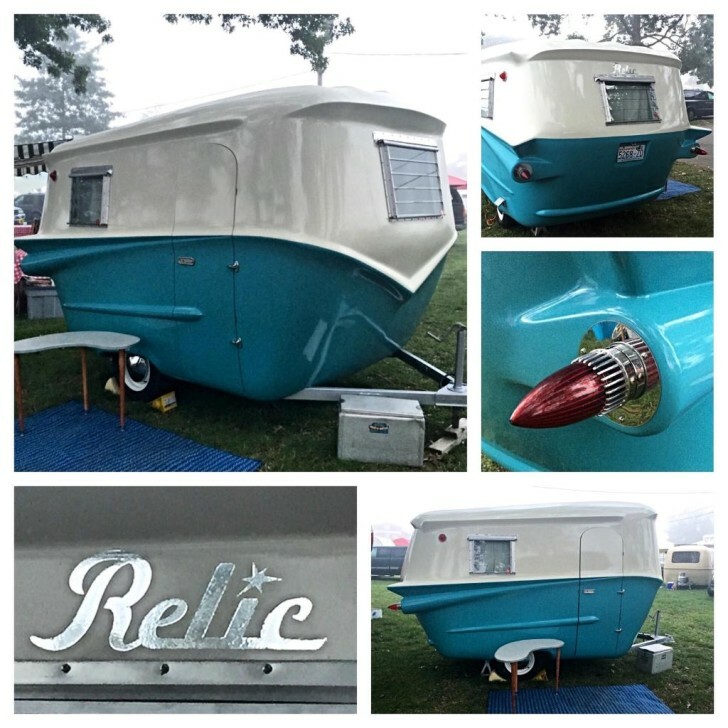 Jayne’s personal Relic Trailer recently made its debut at a vintage trailer rally. 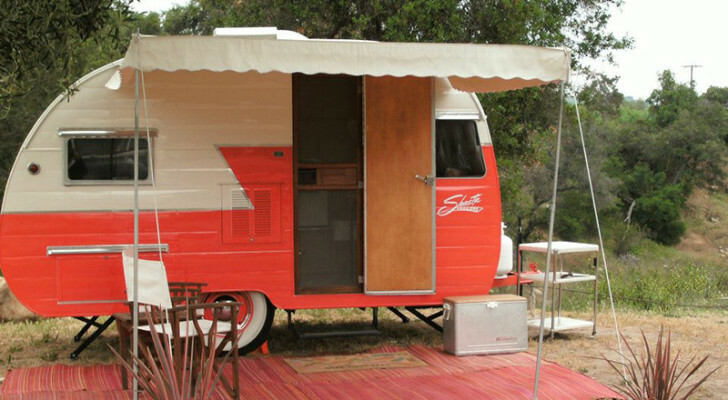 She hoped to get feedback from vintage trailer enthusiasts, and she got more than she expected. The response was overwhelming. I had people at my door at 6:30 in the morning, I wasn’t prepared for that! Relic Trailers is a boutique trailer company, meaning they make each trailer to order, consulting with each client during the design process for their individual trailer. Generally they use actual vintage items to finish out the interiors, but also include vintage reproductions where it makes sense. 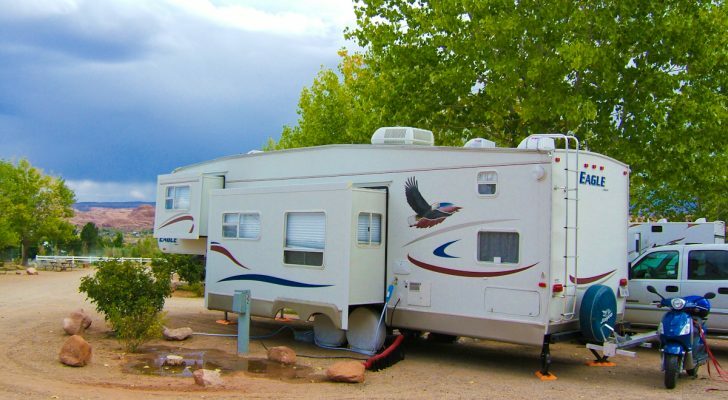 This offers owners the ability to completely customize their trailer, in a way that bigger companies can’t. Interiors keep the aesthetics of 1960’s trailers, but can be customized for owners who want something modern, funky, or completely outrageous. The sky is the limit! Complete trailers with standard options start at $16,000, but the sky is the limit for customization. 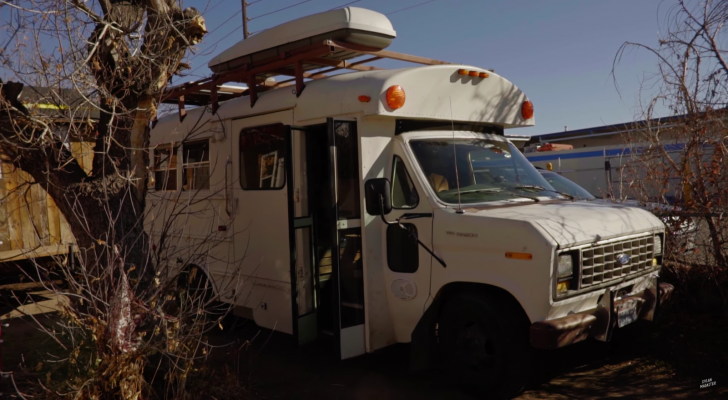 They will work with owners to custom design their camper, including layout, options, and exterior colors, then prepare a quote based on the extras included. 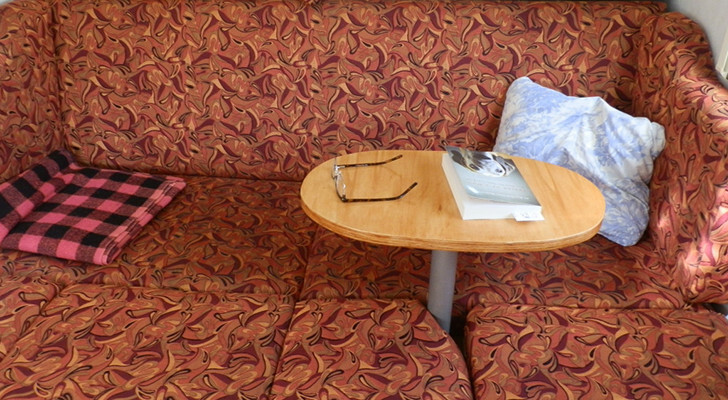 Vintage or vintage reproduction items keep the original intent of the trailer’s design and time period. 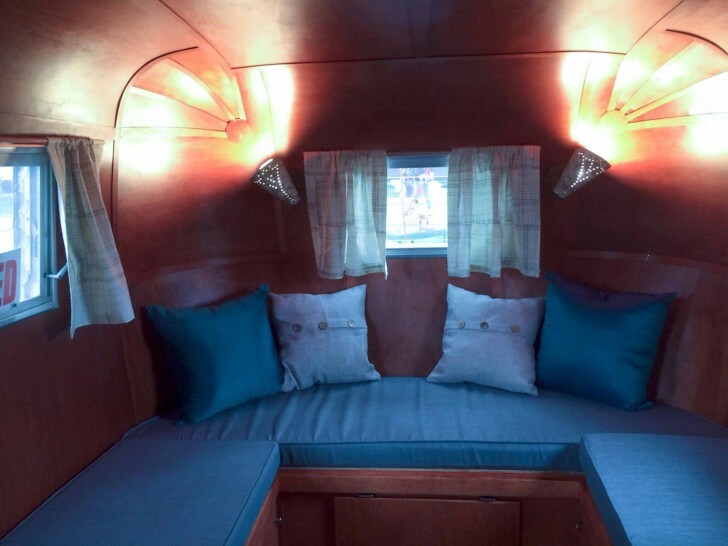 This has made the trailers very popular with the “glamping” crowd, who often do the exact same thing with vintage trailers – gutting them and then completely redesigning the interior themselves. Relic Trailers allows glampers to skip the demo step, and create a brand new trailer from scratch. 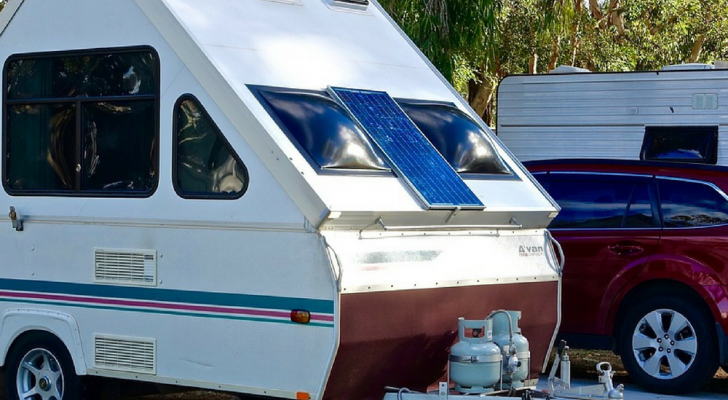 It’s very appealing to those who want to have a vintage-inspired experience, without the hassle and hidden problems that come with purchasing a trailer that is fifty years old. 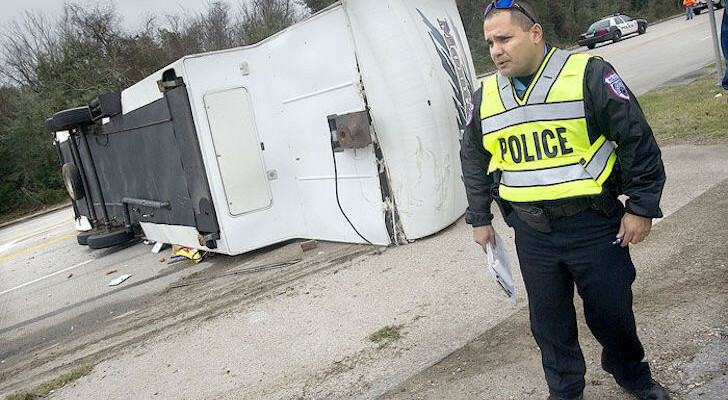 The one-piece design of the fiberglass shell will help prevent future leaks and other problems. 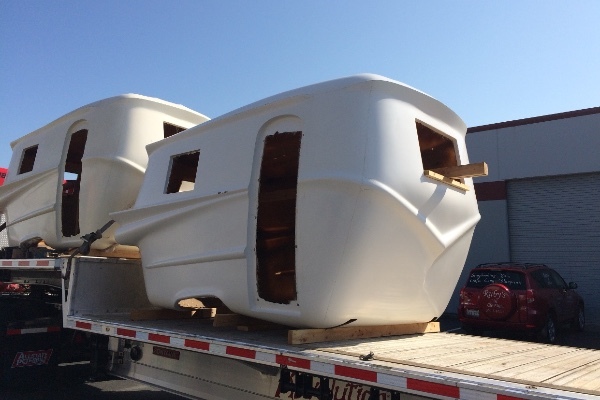 The trailer “shell” is fabricated in one seamless fiberglass module, preventing leaks that are common with other, non-fiberglass models. Since water is the number one cause of damage over time, this innovative design will help the campers wear well through ages. Each one is destined to become a family heirloom, instead of just a disposable camper to be upgraded for a new model in a few years. The cabinets and interiors are designed with 1960’s aesthetics in mind, and include handcrafted solid wood cabinets. Counter top options include vintage inspired Formica, with aluminum trim. 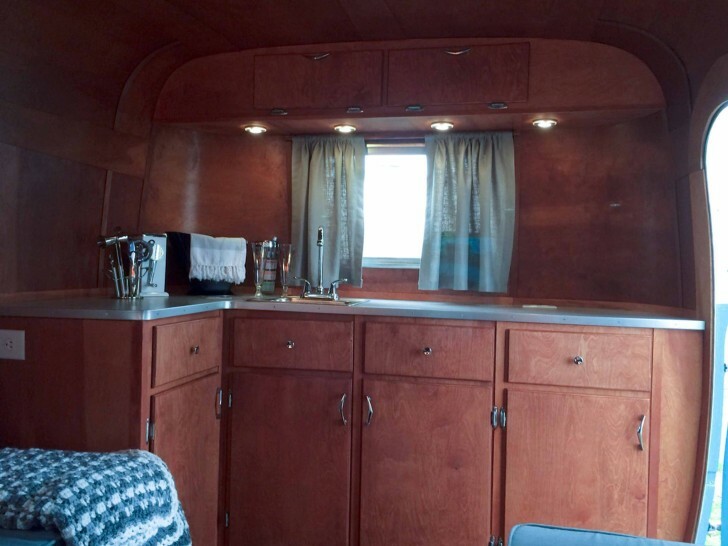 They are working with an experienced professional interior shop, Brian’s Vintage Trailers, to create each interior from scratch. Each one is individually crafted, and nothing is mass produced. 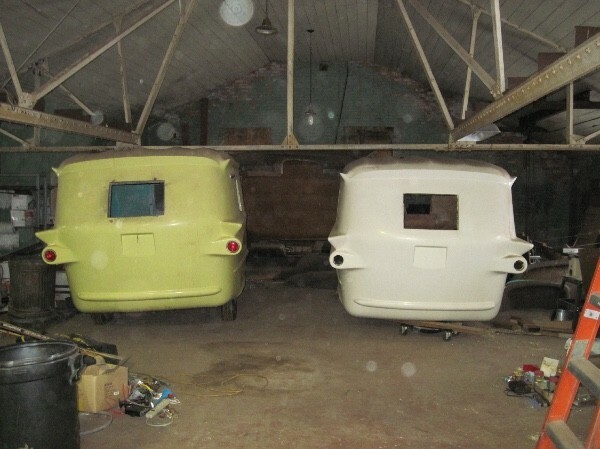 People are shocked Relic Trailers aren’t restored 50 year old campers, instead they are brand new! Relic Trailers is now taking orders for delivery positions. They require a $1,500 deposit to start the design process, and then require the balance before they start the production of each unique trailer. Production times average between 8-12 weeks once the design process is complete, but may take longer for designs with extensive customization requests. Relic Trailers are truly unique in the marketplace, and their vintage design reminds people of a simpler time. They are elegant, stylish, and full of personality. Apparently, thanks to Relic Trailers and their time machine campers, the good old days are officially now. You can contact the owner of Relic Trailers for more details or discuss ordering one of these beauties at [email protected], or by phone at 503-930-5025.